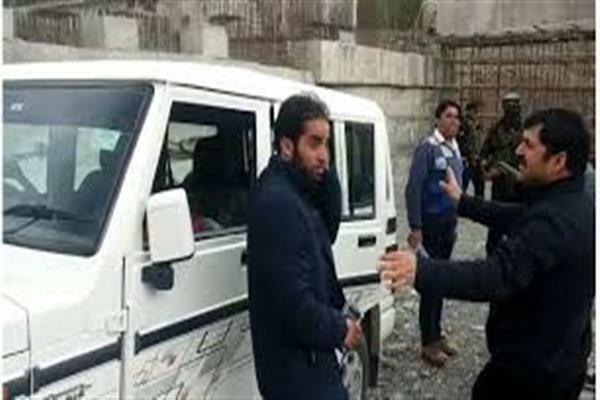 Srinagar, Apr 17 : The KAS officers Association has strongly and unequivocally condemned the incident of manhandling of Sub Divisional Magistrate Dooru and his subordinates by armed forces, while the officer was performing his official duties in connection with the ensuing parliamentary elections. The Association has taken up the issue with higher authorities for lodging of FIR in the matter and for getting it investigated on fast track basis so that the guilty are punished under the law. The Association has appraised the higher authorities of the negative fallout of the incident as the same has downed the morale of the entire KAS fraternity, which is working under the toughest circumstances not only to conduct the ensuing parliamentary elections but to implement the policies and programmes of the Government in the state. While exuding its unflinching faith in the Government, the Association hopes that the matter will be taken to its logical conclusion, in keeping with the genuine aspirations of the KAS fraternity.